I went back. | there's no place like gnome. The estate sale. It called to me. I went back on Saturday when everything was 50% off and I discovered a few more goodies. 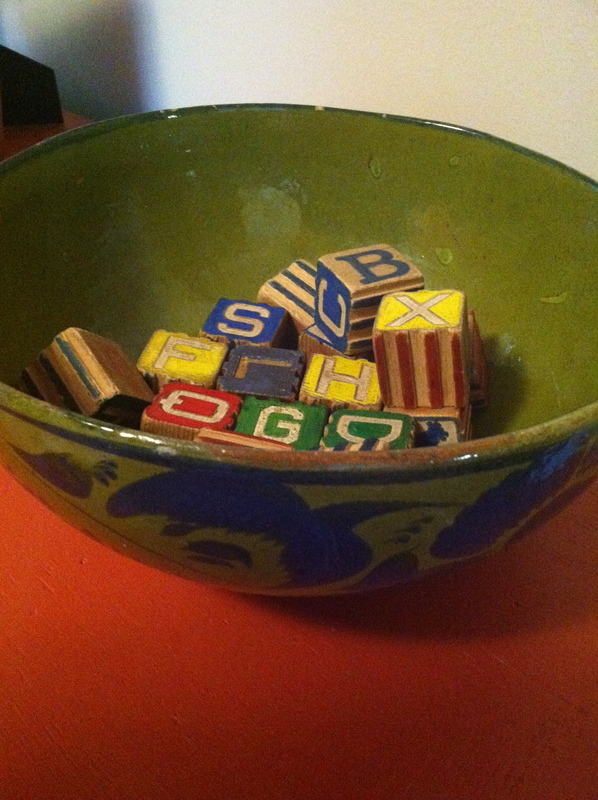 Funky bowl [$1.50] and old school wooden blocks [$4]. 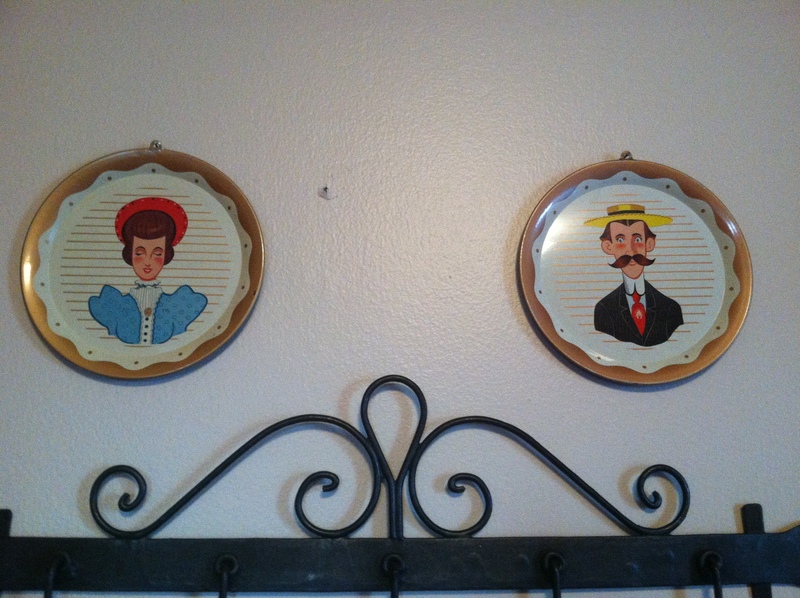 They also live in the guest room. Come play with blocks at my house. I also bought a piggy bank, a couple frames, metal cookie cutters, and some flat sheets for the quilters at church. Estate sales are the best. Oh. And ps. 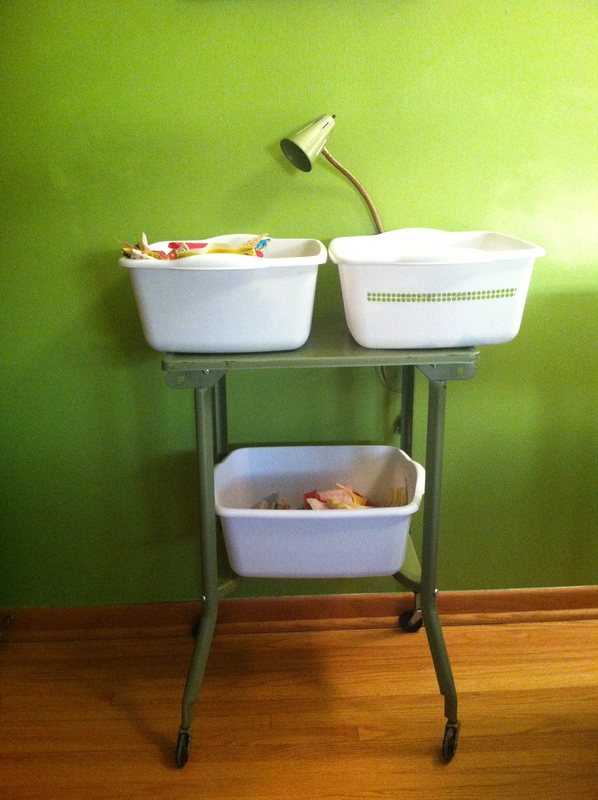 Here is the green typing table making a home in my craft room. Functional, cheap and green. All my favorites.